The University of Ibadan, UI Full List of Over 400 Withdrawn Students Due to Poor Academic Performance and Failure to Obtain the Minimum Academic Requirements in 2016/2017 Academic Session. 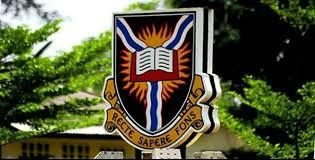 Authorities of the University of Ibadan has published the list of withdrawn students over poor academic performance in the 2016/2017 academic session. According to the Senate of the institution the withdrawal of the students, was caused by the failure of them to obtain the minimum academic requirements to stay in the University. From the withdrawal list published it shows that three-quarter of those asked to leave the university were those in 100 level who were admitted into the university without writing the Post-UTME screening examinations. It will be recalled that the University of Ibadan had admitted a total of 3,483 for the 2016/2017 session when there was opposition to the conduct of post-UTME screening. The Deputy Vice Chancellor (Academic) Professor Adeyinka Aderinto in an interview with newsmen in Ibadan stated that the University of Ibadan will continue to uphold its standards despite dwindling funding to the university by adhering to global standards. The DVC asked parents of those students returning to the University to ensure that they monitor to ensure that their wards who have been asked to withdraw from the university do not lie and continue to extort money in the name of being a student at the University. According to professor Aderinto, the conduct of UI Model of Post-UTME screening has helped to separate ‘men from boys’ and helped the institution in maintaining its historical standard as a global brand. “The University is determined to uphold standards. We are saying that being admitted to the University of Ibadan is a rarely privilege that require students to be up and doing in their studies. There are minimum academic requirements a student must meet at the end of the session and those who fall short of that would have to leave the university. UI Withdrawal List - 2016/2017.